A year ago hummus was a snack we would fill our plates with at parties, but it was never stocked in our fridge. Then one day while eating an early lunch at Costo (a.k.a filling up on samples) Ian and I strolled down the dip aisle, saw the hummus display, and wondered why we never enjoy it at home. Skip forwards a few months later and hummus is a staple in our home. It’s enjoyed on the classics – veggies and pita chips, but I wondered how we could expand our hummus obsession. 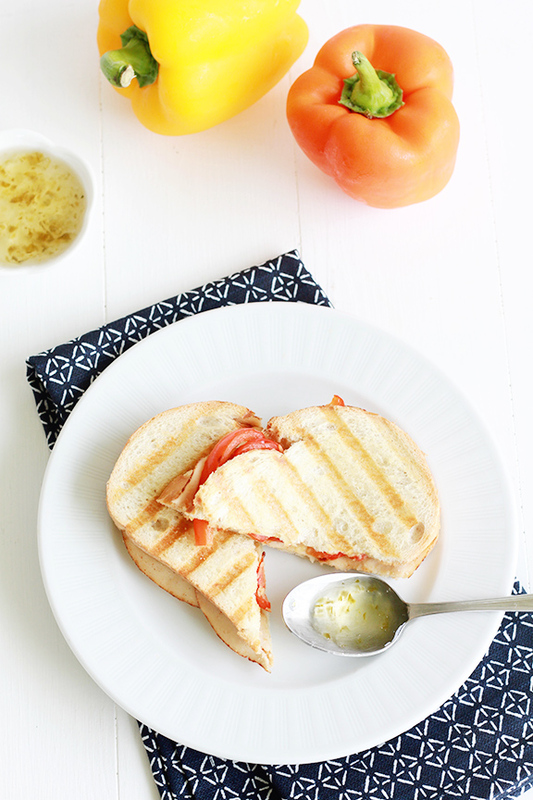 Cue the hummus panini! 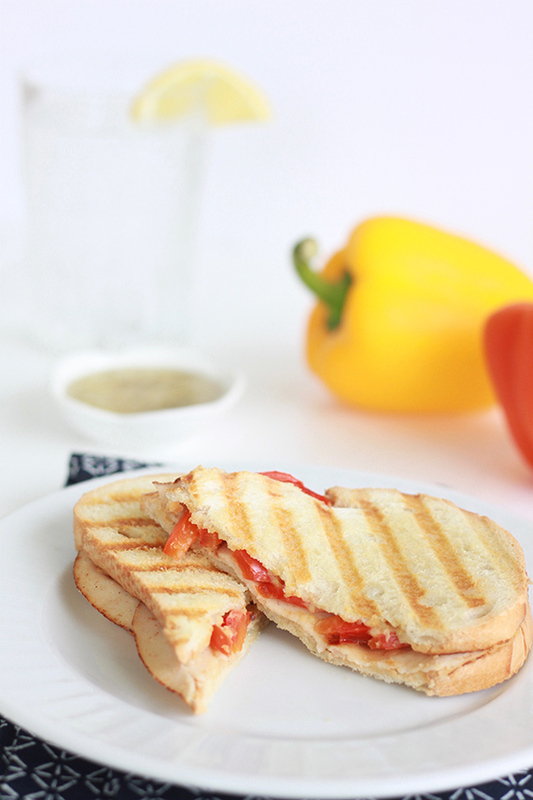 Drizzled with a bit of my mom’s homemade pepper jelly and we had ourselves a mouth-watering sandwich. 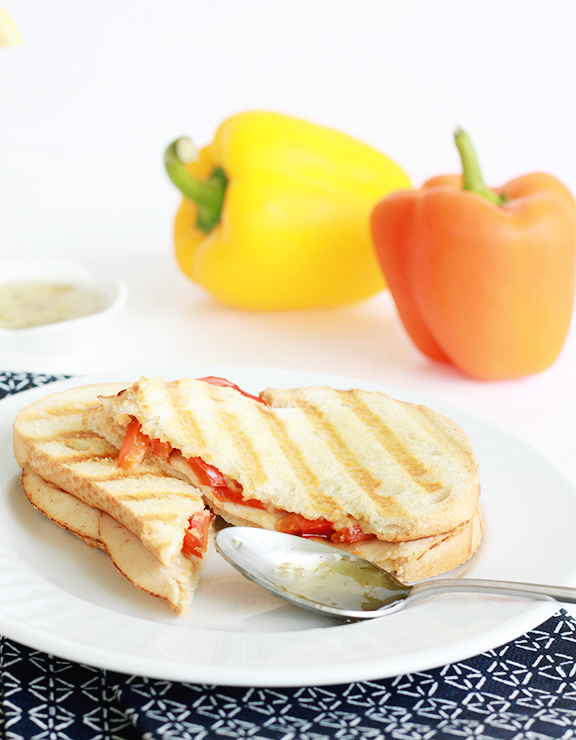 Here is how you can enjoy this sandwich at home!